Robert Siodmak's 1946 version launching the careers of Burt Lancaster and Ava Gardner. Student Andrei Tarkovsky tackled the story with a faithful 19-minute short in 1956. 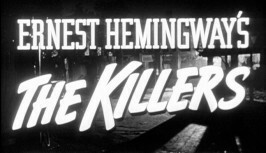 In 1964, Don Siegel-initially slated to direct the 1946 film created his version. 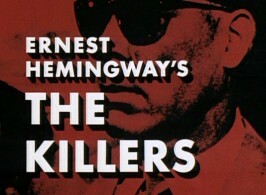 It starred Lee Marvin, Angie Dickinson and John Cassavetes.